"... it's a historic moment. I compared it to the day men landed on the moon..."
Sorry, do you know who exactly said that? I know it's the female commentator, but do you know her name? "He is a mercurial skater who wears his heart on his see through sleeve"
Russian commentators absolutely love Yuzuru (don't know if I should include youtube links - none of the videos have English subtitles). TAT after GPF 2016: "The audience is on their feet, and I will stand up too. Such a program, and he is so magnificent in it, so free! If the Japanese have someone new, it is someone incredible." Zhurankov GPF 2015 gala: "I think people who know Japanese should share with us the translation of Hanyu's first and last name into different languages. In one of these languages the letters of his name will surely make up the word 'genius'. Zhurankov WC 2016 gala: "Second year in a row, skating before Fernandez, Hanyu loses to him. 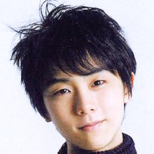 But this year Hanyu has proven multiple times that he is the unique one." WC 2017 FS commentators, as Nathan Chen is preparing to skate: "Now others will try to beat Hanyu's result, if it's possible. - Is it possible to touch the stars?" COR 2018 SP Yagudin: "I'm glad I will finally see Hanyu skate in person, because I've never seen him skate with my own eyes before." Another commentator: "Never? Then you shouldn't miss a single second." TAT after the program: "Now if I were in the judges' place, I would give +5 for everything, because they may never again have a chance to do it and to get such pleasure." "He skates as a purist on the ice - as an athlete and as an artist"
Welcome !!! And thank you so much for the translations! Otonal at CoR... I’m still crying about how beautiful and perfect it was!!!! Thank you! It was absolutely unique. Can it even get any better? "There has been no one like him before and i don't know how much we have to wait to see someone like him in the future. He has a talent without limits, the quality he puts on the rink is superior to all others"